New Zealand is blessed with some of the most spectacular coastal scenery in the world. Some of the most popular cities are based on the coast which makes for a perfect cruise holiday experience. During our summer months you will find a large number of cruise ships traversing the NZ coastline from all the major brands, including sectors on World cruises that are passing through. 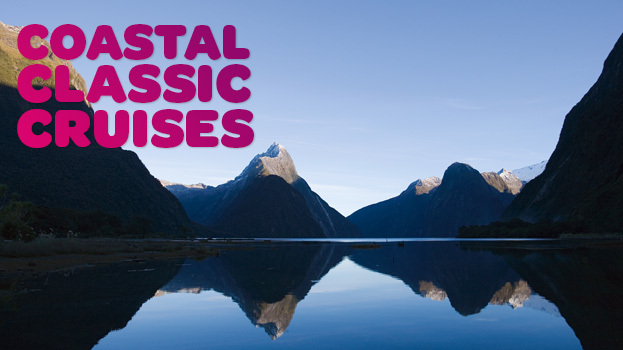 The Jewel in the crown has to be cruising in to Fiordland National Park and seeing the amazing wonder of nature that is Milford, Doubtful and Dusky Sound.